Age 77 of Plum, died Saturday, February 9, 2019 at her home with her family by her side. Beloved wife of Paul A. Sypolt of 57 years; beloved mother of Charlene (Carl) Satira and Daniel (Jeanine) Sypolt; sister of Barbara Frank; grandmother of Rachel Satira, Katie (Matthew) Haines, Bryanna and Danielle Sypolt; great-grandmother of Waylon and Kyler. Carol will be remembered as a loving wife, mother, grandmother and great-grandmother. Friends and family will be received at BURKET TRUBY FUNERAL HOME CREMATION & ALTERNATIVE SERVICES INC., 421 Allegheny Ave., Oakmont, Tuesday, February 12, 2019 from 2-4, 6-8. 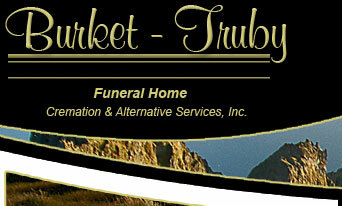 Services Wednesday morning, 10 a.m., at the funeral home. Family suggest memorials to American Cancer Society, 320 Bilmar Dr., Pgh., PA, 15205.